I have been asked to pass this onto you in the hope that you would spread the word about this fantastic chance to become a Life Member to the Isle of Harris Golf Club, while helping to raise money for a worthy local charity. 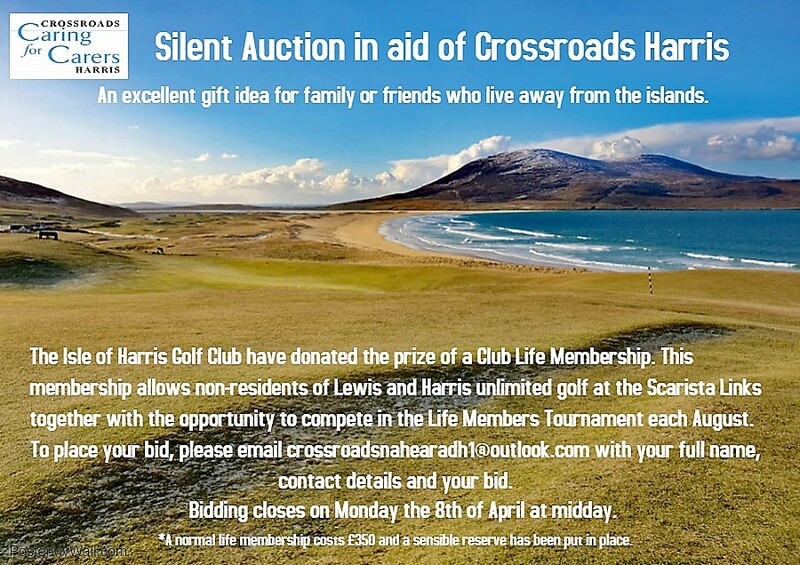 Here is some information on Crossroads Harris, and more information can be found on their website. Crossroads (Harris) exists to provide respite care to carers of ill, elderly and people with disabilities and also support to ill, elderly and people with disabilities who live alone. These services are free of charge to users.